May 31, 2011 – CDs, the V’s. | What I got rid of today. ← May 30, 2011 – Seriously, how many picture frames does one man need? 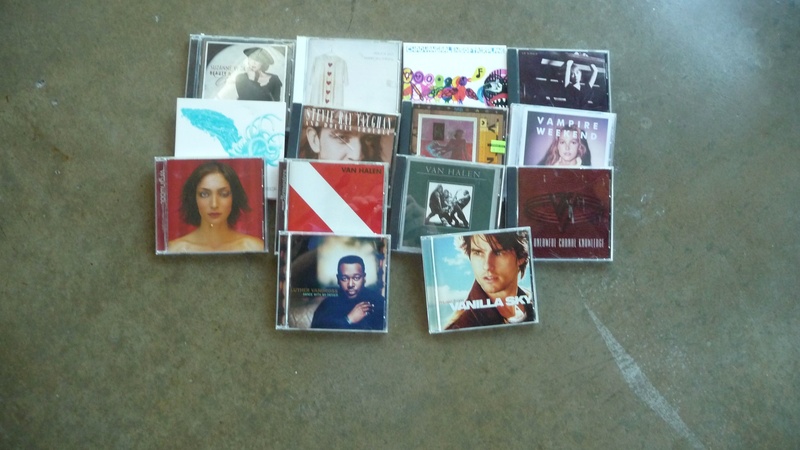 CD day – the V’s! Mostly Van Halen – not really a surprise, since they’re a band I’ve seen 9 times — since I was a sophomore in high school. Vampire Weekend – sorry folks, I just don’t get the appeal. I’ve tried. But just not my thing. Chad Vangaalen – trust me on this one. Give it a listen. Quite experimental, but it grows on you. Sort of like the RID project. 1 Response to May 31, 2011 – CDs, the V’s.